Clients will benefit from the unique combination of BUI’s in-depth and Security Focused Microsoft Azure Consulting practice and Ascent’s deep domain knowledge and extensive portfolio around Microsoft Data Platform Solutions. The two partners are committed to empowering digital transformation at their clients. By selecting Microsoft Azure as the Cloud for this collaboration, both BUI and Ascent’s clients will now have access to an enterprise-grade Cloud Infrastructure that benefits from billions of dollars of ongoing investment. “Together with Ascent, we are providing our clients with the digital technology and Cloud Platform to allow our clients to extend, migrate and operate their systems in a secure and scalable manor,” – Ryan Roseveare, Managing Director at BUI. “The partnership announced today, combines Ascent’s portfolio of Database and Business Intelligence (BI), Solutions and Services, together with BUI’s market leading Technology Solutions to the benefit of our joined client base and the broader market,” – Johan Lamberts, Managing Director at Ascent Technology. Together, Ascent and BUI will accelerate digital solutions that improve clients’ Productivity with Increased Uptime, Disaster Recovery, Database Infrastructure and Data Analysis Solutions. As BUI has standardized its offerings on Microsoft Azure, and expands its leadership in this area both companies will take full advantage of Azure Services to offer clients an end-to-end solution. BUI and Ascent have a long history of successful collaboration, and have delivered transformational end-to-end solutions across several clients in the past. 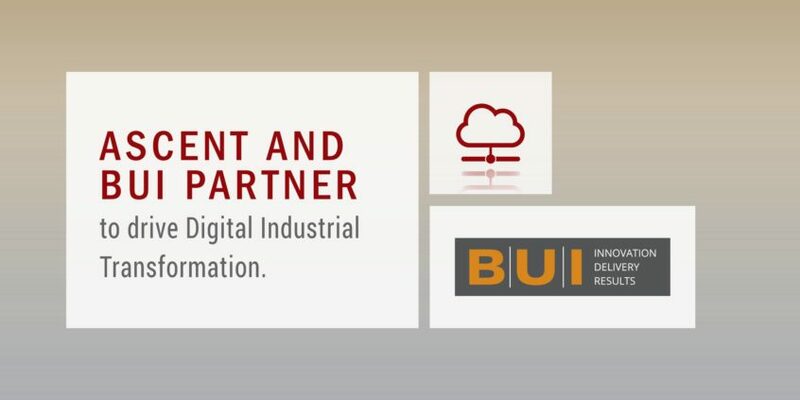 BUI is the award winning leader in helping clients realise their business potential through digital transformation. BUI’s Technology Solutions help clients to securely collaborate, leverage the Intelligent Cloud and optimise technology operations. Ascent Technology one of Microsoft’s unique, award winning and successful Partners in the Data Platform Competency has been delivering value added solutions to its ever growing outsourced client base since 2003. Furthermore, Ascent has been particularly successful at creating value for its client base through making sure that new technologies are implemented and unlocked, therefore enabling their clients to react fast and effectively to their ever changing market conditions.